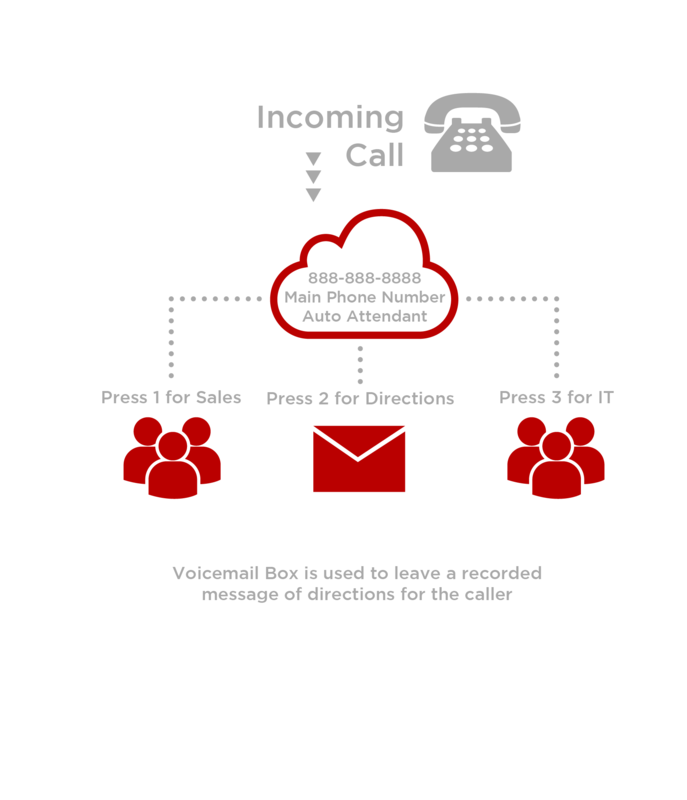 Example A: In this example, there is one companywide voicemail box accessed when a caller calls the main number, reaches the Auto Attendant and Presses 5 to leave a message OR if either group (Sales or IT) does not answer. Example B: In this example, the voicemail box assigned to the Auto Attendant is being utilized to leave a message playback for directions to the office. The following topics will help you with common voicemail related questions. 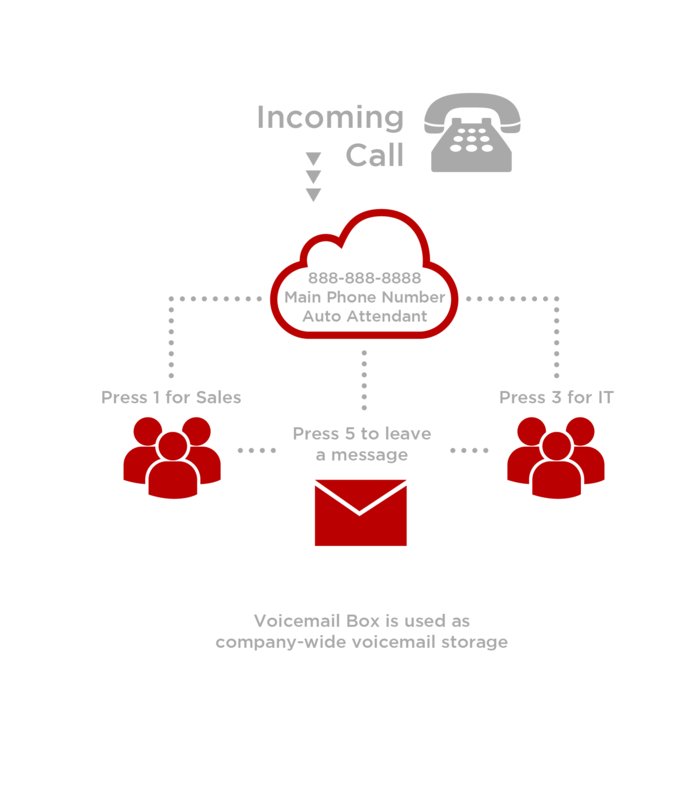 How can I retrieve voicemail from a shared voicemail box? A. How can I retrieve voicemail from a shared voicemail box? Dial the voicemail portal number or press the voicemail key on your IP Phone. Depending on your setup you may need to enter your voicemail extension. If you are not sure of your voicemail extension, ask your Administrator. Follow the prompts to listen to the voicemail messages.